Downtime in the transport industry can be financially crippling, especially for the small operator. 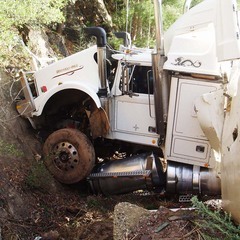 Our 24 Hour Australia wide accident recovery service ensures the fast and cost effective recovery of your vehicle. 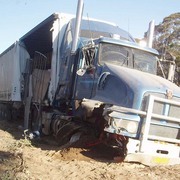 Vehicles are recovered across Australia from as far a field as Perth, Port Hedland, Northern Territory and the eastern states. 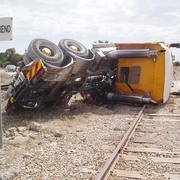 All Transport has many years of knowledge and experience in the logistics of co-ordinating accident recovery. 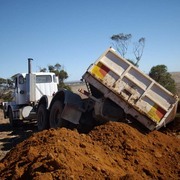 Our contact network across Australia includes heavy haulage tow trucks, cranes and drop deck trailers. 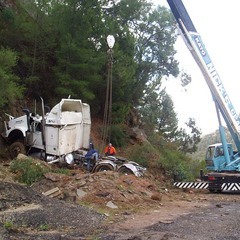 We appoint reputable towing and crane services that are closest to the accident scene, saving many hours of waiting for recovery vehicles to arrive. 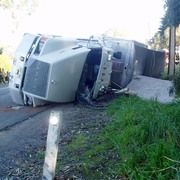 We also assist with driver comfort and arranging load recovery or disposal. 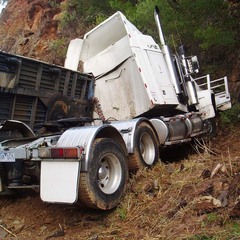 When recovering vehicles, All Transport Recovery Services will always act in the best interest of the vehicle owner, and will seek to keep costs to a minimum and prevent any further damage. 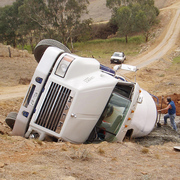 Nobody wants to think about having an accident, but whether you run one truck or a fleet, having an accident recovery plan can help reduce the stress and logistics of accident recovery. For some clients the plan is as simple as telephoning our 24 hour number, 08 8268 6666. 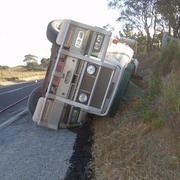 In addition, many clients also have an Accident Recovery Authority in place with us. These agreements also take into account the requirements of the Metropolitan Accident Tow Roster Scheme. 08 8231 5555 (this phone number is shown on your registration label). The police will then allocate a tow truck, but you have the right to choose where your vehicle is towed too and repaired. The roster system has a provision allowing heavy vehicle owners to register a preferred towing company. In the event of an accident, the onus is on you to request the police to allocate the tow to your preferred towing company. Please note: if you have not registered a preferred towing company, then the tow must be allocated according to the roster, however, you always retain the right to choose where your vehicle is towed too and repaired. 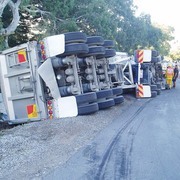 For more information about registering a preferred towing company (for Heavy Vehicles in Metropolitan Adelaide) or arranging an Accident Recovery Authority with us please phone 08 8268 6666, or send an email to Accident Recovery Enquiry. 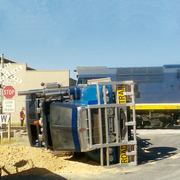 All Transport Recovery Services is a registered trading name for All Transport Crash Repairs.